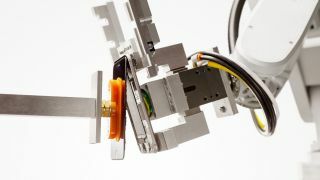 Apple has announced a new, impressive goal of one day only using recycled materials in its devices. Apple's 2017 Environment Responsibility Report sets the company the goal of only using recycled materials in its devices, but it's not something the company can do quickly or easily. Currently only a small percentage of the tech used in an iPhone comes from recycled materials, but the firm one day hopes to use materials such as aluminum, tin, copper and other elements that come from previously used sources. "We’re actually doing something we rarely do, which is announce a goal before we’ve completely figured out how to do it." It wouldn't just be for iPhones either - Apple's goal is to only use recycled materials for all products - so that would include MacBooks, iPods, iPads, AirPods and everything else. The report shows the company hopes to do this with a closed supply chain, which would likely use recycling schemes and robots - such as Apple's Liam project - to identify the reusable materials. The company has identified aluminium can be recycled from past Apple products such as the iPhone 6, as the durable material can be melted down and used in Mac computer cases. Other materials such as tin are more complicated to recycle though and the firm is trying to find a way to reuse it more efficiently. Apple also hopes to use only renewable energy in all its facilities, including stores and factories - it's currently at 96% renewable usage - as well as encouraging its supply chain to only use renewable energy and ensure all its products are supplied in 100% recycled paper packaging. Limiting the materials the company uses will have less of a negative environmental impact as well as helping the company to combat human rights abuses associated with its supply chain. Previously Apple stopped buying cobalt and reassessed its supply chain when the process was identified with having connections to child labor in the Congo. Greenpeace congratulated Apple on making the promise of only using recycled materials, but identified a number of other issues the company should be working on too. “They also have control over how the products are designed and should be made with an eye toward making products easier to repair so they have a longer lifespan” Greenpeace Senior IT Analyst Gary Cook told Vice News. Apple devices are notoriously difficult to fix and can date quite quickly. Whether Apple will make an effort to make devices that last longer is yet to be seen, but devices such as the Fairphone 2 are using modular designs to do that. Apple won’t be the first company to create ethically sourced phones. Fairphone has been creating devices since 2013 and only sources conflict-free minerals and Fairtrade gold to create its products.